In 12-inch nonstick skillet, heat 2 tablespoons oil over medium heat. Add chicken; cook 8 to 10 minutes, turning once, until juice of chicken is clear when center of thickest part is cut (170°F) and coating is golden brown. Serve chicken topped with salad and sprinkled with cheese. 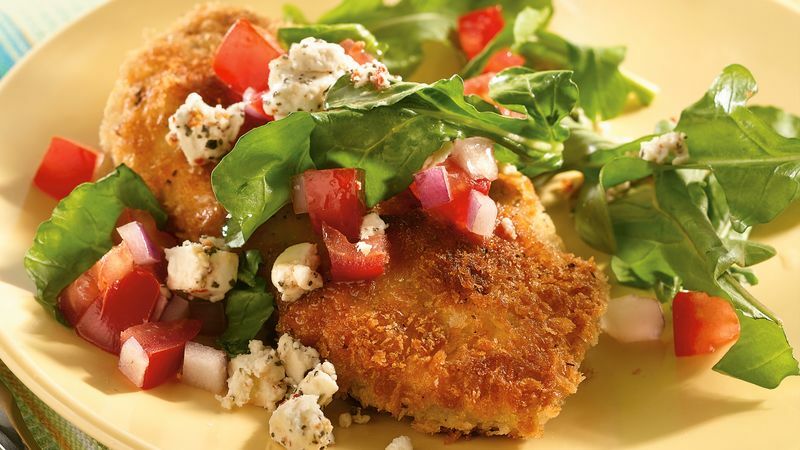 Progresso® panko bread crumbs will stick best if you first shake the food in flour, then dip into beaten egg before coating all sides with bread crumbs.